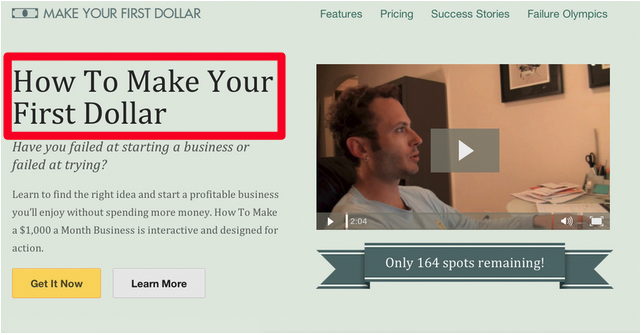 One thing I’ve noticed in email marketing is how much people neglect their landing pages. They put them up there, use them to collect email addresses, and leave them on autopilot. Then, they’re surprised when they don’t deliver. If you’re one of these marketers, it’s time to stop ignoring your landing page, and start optimizing your email marketing campaign to improve conversion rates. 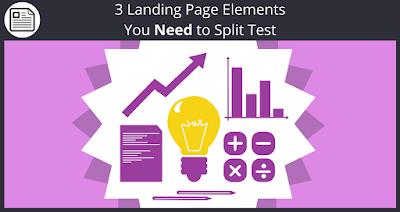 Here are the three landing page elements I recommend you start A/B testing today. Digital marketing is all about visual content these days. Forget the writers. The graphic designers are running the show. One reason is because 65% of people are visual learners. They need images to digest information. That’s a good reason to put images on your website, right? Turns out it’s not as simple as that. 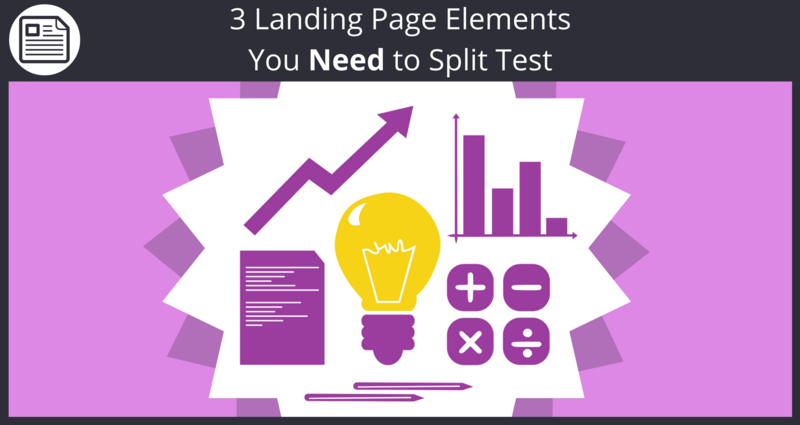 Once you start split testing your images, you’d be surprised by the results. With my own split tests, sometimes I found I was using the wrong images, and in other cases, I didn’t need images at all. Here’s a great example of a similar scenario from a company that split test two opt-in forms. In one form, the company used an eTrust image, and in the other form, they didn’t use an image at all. I put my money on the one with the image, too, but in reality, the one without the image had 12.6% more conversions. Why did people go for the form without the image? It’s actually simple. People associate eTrust with payments so they thought they were going to have to input their payment information when they hit “Submit” on the first form. And it’s not just eTrust images that occasionally fail during A/B testing. Images of humans can fail, and even pictures of celebrities can get the thumbs down from time to time. You never know until you run the test. You might love an image but your visitors might not. Test images against one another and then test them against blank space. See what your visitors want and then give it to them. Conversions are your bread and butter. They’re the whole reason you have a landing page. You want people to sign up for something or buy a product. That is why your CTA buttons are so important. I personally like to go about this a couple of different ways. First, I like to run a basic test with single CTA buttons. For instance, I might put up a page that invites people to try a demo or sign up for a list, just like Artsy Editor did at the beginning of a case study. Then, I would run an A/B test against single CTA buttons. After I did that, I would follow Arty Editor’s path once again and run a test to see if dual buttons perform better than single buttons do. I would also see which dual buttons perform the best. Here’s what I’ve learned: If you have free trials, use them. Put a button for the trial next to a “Buy” button so people know their options. I’ve also discovered that a traditional “Buy” button usually performs better than a button with the price on it does. Still, it’s a good idea to run a test to see how your market reacts to pricing information. People form an opinion of your website in less than three seconds. Increase the likelihood of that opinion being a good one by running A/B tests on your headlines. The headline is typically the first thing someone sees. Brainstorm for headline ideas and then come up with counterparts for A/B testing. For instance, if you help people make money, you can incorporate that into your headline and then split test it. In this case, the headline with an actual dollar amount had 6.49% more conversions than its counterpart. 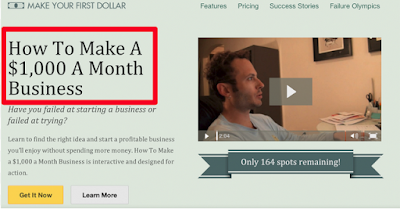 You might not work with dollars and cents, and that’s okay. I’ve seen people A/B test headlines for dog food, cell phones, real estate, and everything in between. The key is to find an angle and then exploit it. These are my three favorite components to A/B testing. Do you know any important page elements to A/B test that I missed? Let me know in the comments. With Sendlane™, you can begin creating different landing pages within minutes using our easy visual landing page builder. So go sign up for your free trial of Sendlane™ today! You can link those landing pages to different lists and compare which designs are getting more opt ins. Also, you can link each landing page to a different offer as a thank you page and track which offers are getting more conversions. We hope you loved this blog and the info in it. If you found it helpful, we bet your friends will also. Please like and share this post on Facebook and all of your other relevant social networks.